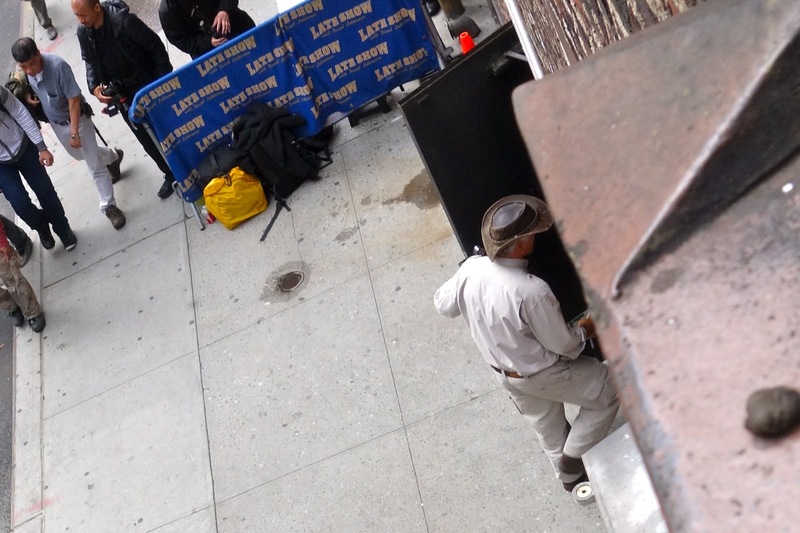 Whenever Jack Hanna is on the Late Show, 53rd Street becomes the setting for an exciting photographic safari. Jack's hat makes him easy to pick out in difficult conditions. A White-Crested British Cumberbatch! And a doggie! Fun's over. Jack's going inside. Time for the Columbus Zoo staffers to get out the lint roller and remove the animal hairs. Keep at it, kids. This is going to take a while. The top photo of Jack almost straight below the ledge o' gum is the BEST CELEBRIGUM SHOT EVER! Definitely frame this one for the CelebriGum Gallery. Make posters of it, even. Thanks--I agree, pretty satisfying, with the big diagonal and the gum echoed in the hat. Judging by the colour (Cdn spelling! 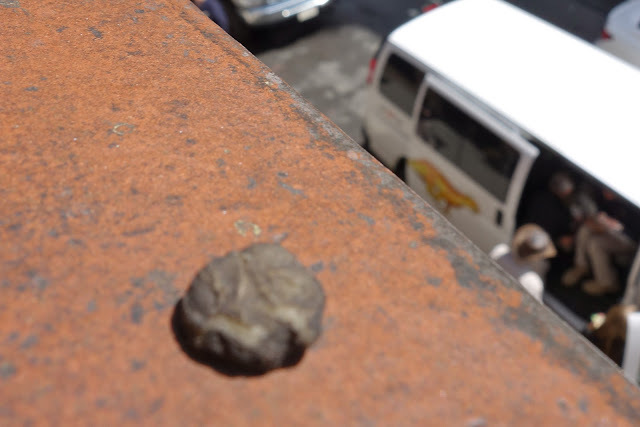 ), and the texture, it seems quite possible that Jack's hat is made from 100% genuine New York window ledge-aged gum.